Radiology has come a long way over the years, and we are happy to have the latest technology. We, at Paws Animal Hospital utilize digital radiology which enables our veterinarians to get a faster, clearer and quality picture. With this technology we are able to enhance images on computers. We are also able to communicate with our partners in veterinary medicine to give you the best medicine possible by transmitting them via email to specialists for further evaluation. 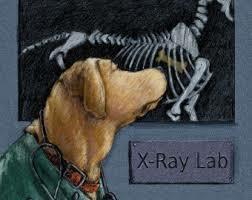 In addition, all of our radiographs our reviewed by a board certified veterinary radiologist. We know how important your family members are and this is just one of the steps we take to give them the quality of care they deserve. Paws Animal Hospital is pleased to provide on site Ultrasounds and Echocardiograms by Dr. Kathy Gelatt-Nicholson. She is a board certified veterinary radiologist and provides an invaluable diagnostic tool in aiding our doctors in diagnosing our patient's medical conditions. By using ultrasounds, the doctor can check for an obstruction in the bladder or urethra, evaluate bladder thickness, diagnose stones in the bladder, gastrointestinal obstructions or thickening, or even look at suspicious masses that may be felt upon examination or seen on radiographs. Echocardiograms allow imaging of cardiac structures and allow assessment of cardiac function. Echocardiograms are beneficial in the diagnosis and treatment of cardiac disease in our patients. The convenience of having a board certified veterinary radiologist come to our hospital is just another way Paws Animal Hospital is continuing to bring the latest and state of the art technology to our practice. Please ask our staff members about this service if any questions or if you would like to schedule an appointment. 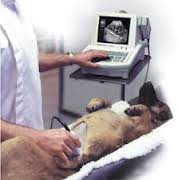 More about ultrasounds in dogs.